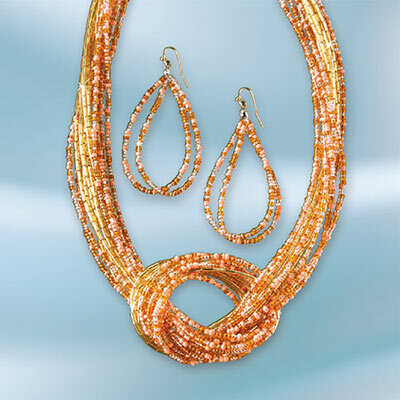 Like beams of sunshine, our clustered strands of glowing beads brighten an outfit. Shades of coral and orange glass bugle and seed beads mixed with gold-tone metal. Set includes necklace, 18"l with 3" extender, and French wire earrings, 3"l.